I love incorporating games into math as much as possible. Who doesn’t love playing games, right?! But the problem with games is that they often require quite a bit of prep work for us teachers. I’ve been trying to come up with some that require little to no preparation to use. 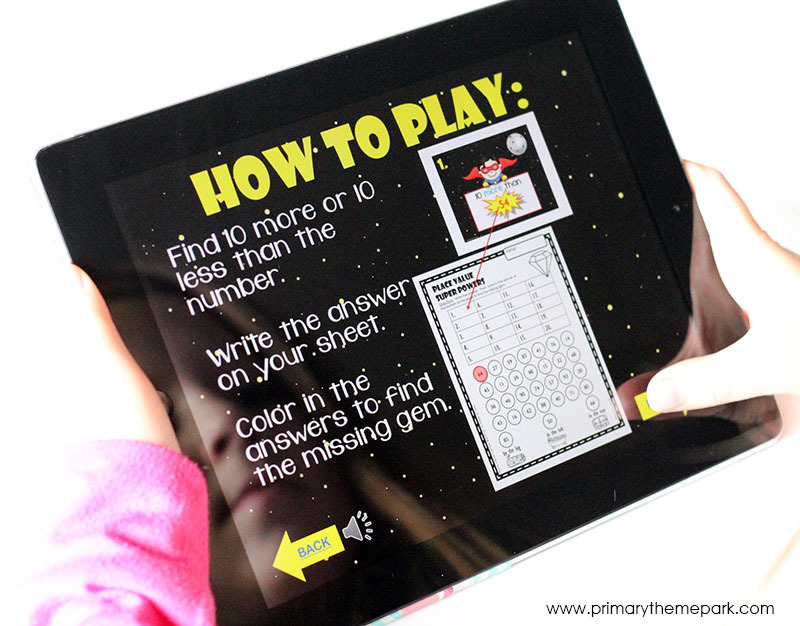 I’m so excited to share these place value games for first grade with you that are student AND teacher friendly! This is by far my kids’ favorite game! It’s such a fun whole class activity that students will want to play again and again. It’s also great to leave for a substitute teacher. Have students stand at their desks and write a two-digit (if doing tens and ones) or three-digit number (if doing ones, tens, and hundreds) on a sheet of paper. It works with larger numbers for older students as well. Start calling out different place value amounts one at a time. If a student has that amount in their number, they have to sit down. For example, you might say, “If you have a 2 in the tens place, sit down” or “If you have a 4 in the ones place, sit down” and so on. You may choose to call on students who sit down to share their number aloud. Keep calling out different place value amounts until only one student is left standing. Have them share their number with the entire class. That is the last number standing! This is a fun two player game that is perfect for centers. It requires a deck of playing cards or UNO cards. If using a deck of playing cards, leave the Joker cards but remove the jacks, queens, kings, and aces. If using UNO cards, leave the WILD cards, but remove the reverse, draw two, draw four, and skip cards. Students turn over two cards from the deck if they are working with ones and tens, and three cards if doing ones, tens, and hundreds. Again, larger numbers work for older students as well. Students lay the cards side by side in the order they draw them to make a two or three-digit number. If they turn over a Joker or WILD card, it can stand for any number. The person with the largest number gets a point. The first student to reach a certain number of points is the winner. To change it up a little, for one game you might tell students that the number with the largest value in the tens place is the winner of each round, or the number with the largest value in the ones place gets a point, etc. 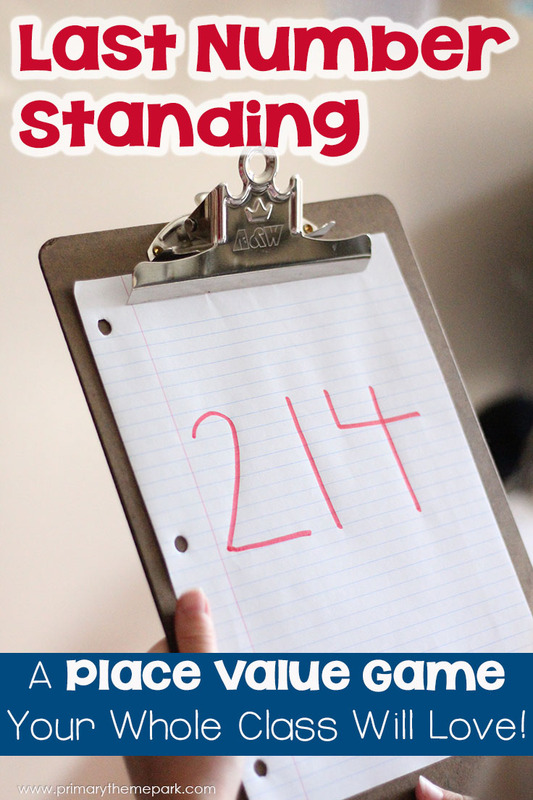 My kids love scavenger hunts, so I thought, “Why not do one with numbers?” In this activity, students look for numbers in the real world that fit a certain description. For example, they might look for a number with a three in the tens place, or try to find a number with a five in the ones place. They cut out the number and glue it beside the clue it matches. We used food packages from our recycling bin and magazines to find the numbers for our hunt. Students might also use newspapers or other printed materials to search for numbers. Sales ads are a bit tricky because sometimes the numbers are written in dollars and cents which can be confusing to young students. I suggest doing this as a special activity for students to complete at home and then return to school. If you want to do it as a center activity, have an ample supply of materials students can look through to find numbers. 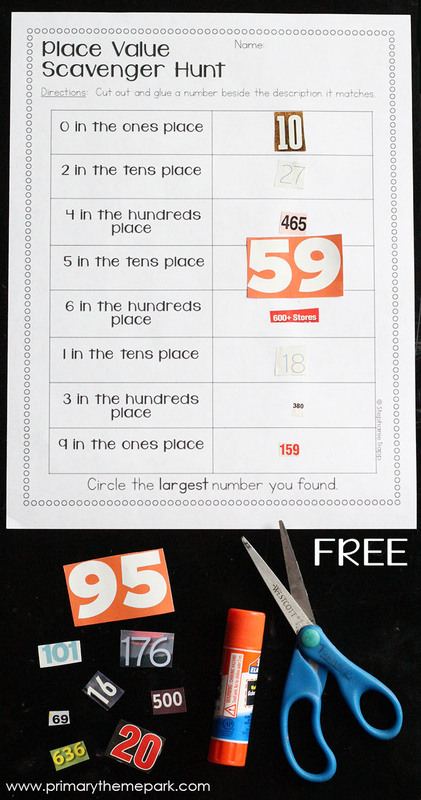 Another alternative is to print out a bunch of numbers for students to search and cut out for the activity. 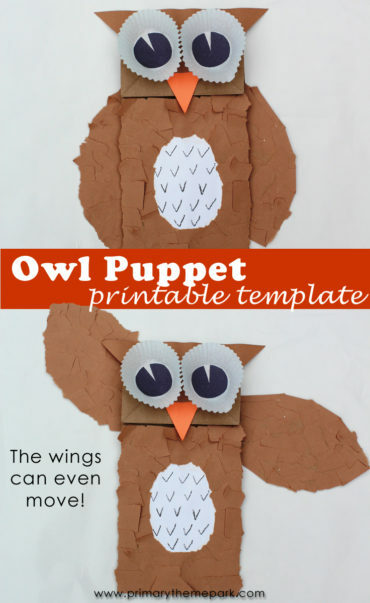 At the end of the post, you can download this activity for FREE! I included several options to make your job easier and to help differentiate it for all students. I also provided an editable note to send home if you choose to use this as a homework activity. 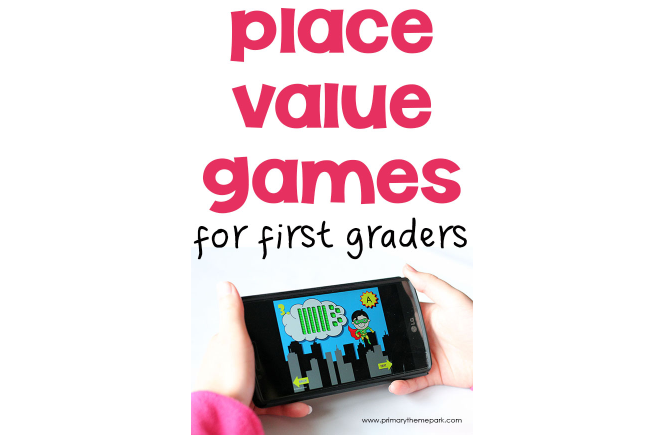 These place value games for first graders are my latest labor of love in my TPT store. 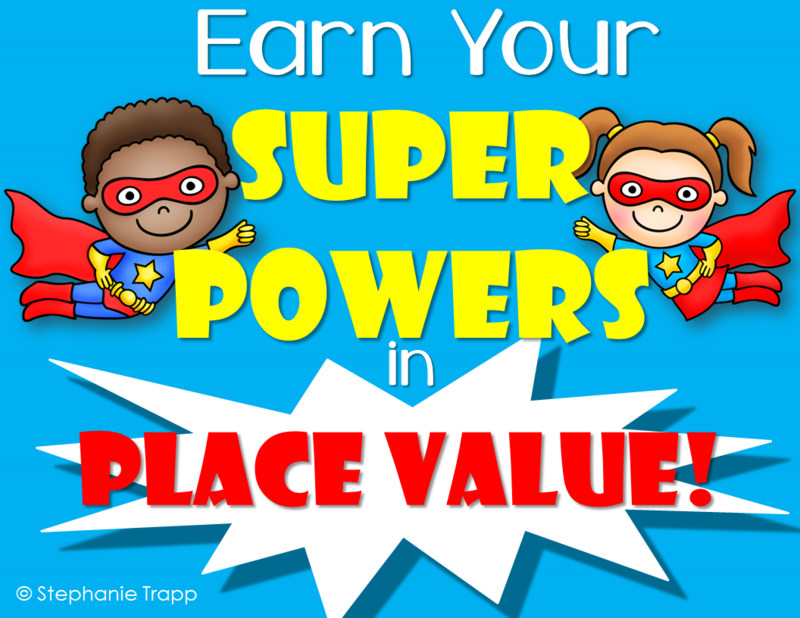 🙂 In them, students are on a mission to earn their super powers in place value! 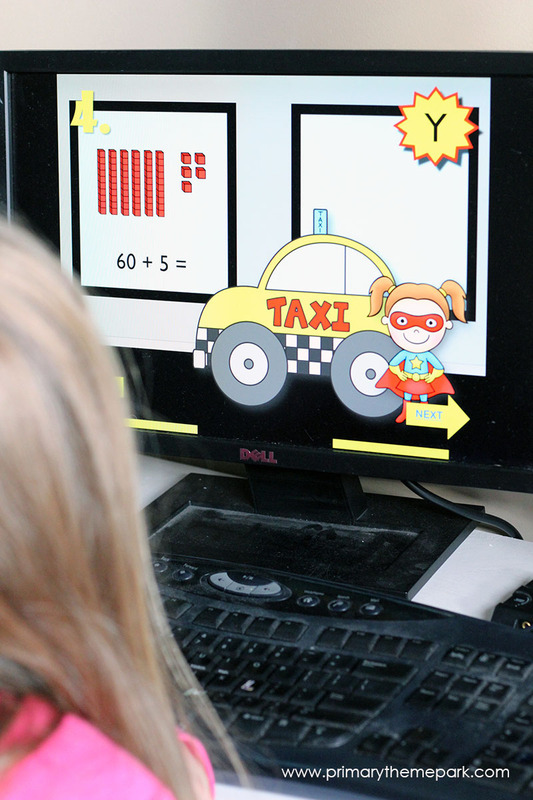 They practice place value skills as they catch The Jokester, find the missing gem, and other tasks in these eight engaging PowerPoint games. 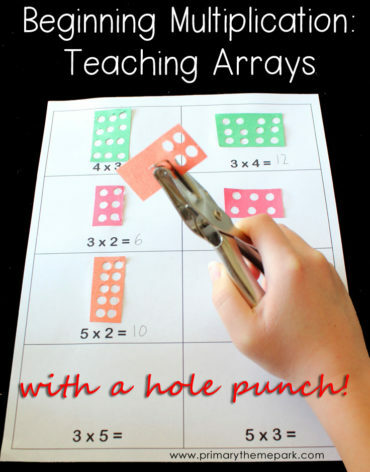 These games are perfect to use as math centers or whole class activities. And the best part? 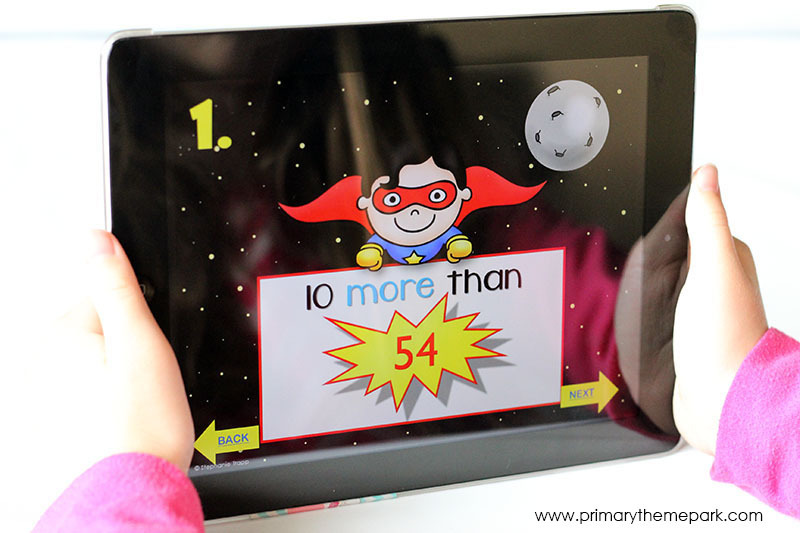 They can also be played on tablets and smart phones using the Microsoft PowerPoint app! My goal for these games is that students are able to complete them independently with little to no help or supervision. All of the directions and words on the screen are read aloud to the students so even non-readers can successfully play them. There are “next” arrow buttons that students click to move through the game, and “back” arrows that allow them to go back to previous screens. There’s even fun superhero-themed music in the background that can be turned down or muted! If students are completing these on their own, how do you know they’re actually understanding the concept or getting the answers correct? Each game has a recording sheet for students to write down their answers and answer keys are included. I like the accountability that the recording sheets provide. They also allow these games to be used for assessment. These games are almost like digital task cards with a twist. The PowerPoint games are .pptx files created with PowerPoint 2016. They work best when opened in newer versions of Microsoft PowerPoint, Microsoft PowerPoint Online, or the Microsoft PowerPoint app. If you have older versions of PowerPoint, they can be played using Microsoft PowerPoint Online. The BEST way to play the games is in newer version of Microsoft PowerPoint or download them into Dropbox and then open them in Microsoft PowerPoint Online or the PowerPoint App. Wondering if these games are compatible with your device or software? Click HERE to try “Find the Mystery Number” for FREE before purchasing to make sure it will work for you. If you have any questions about the PowerPoint games, leave a comment below or email me at primarythemepark@gmail.com. I’ve had several teachers try them out for me and they’ve been successfully played on PCs, MACs, laptops, iPads, iPhones, and Android smart phones. Click the picture below to find out more! 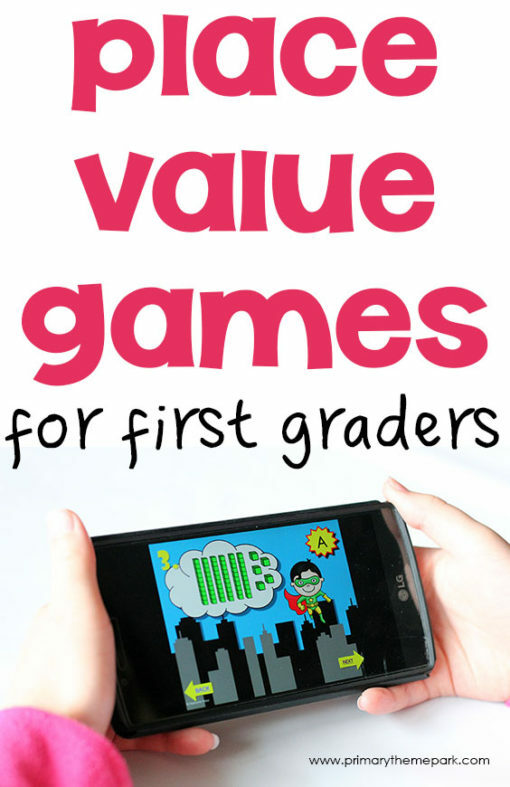 I hope these place value games are something that you’ll be able to use in your classroom. I think they’ll be engaging for your students and low-stress for you. Don’t forget to download the Place Value Scavenger Hunt before you go! I am thrilled to have downloaded your freebie!! It’s an awesome review for my second graders as homework – and such a complete file! I went looking for it on TPT to leave a review – do you have it posted there? I can’t believe it’s free! Hi, Karen! I’m so happy you liked the resource. 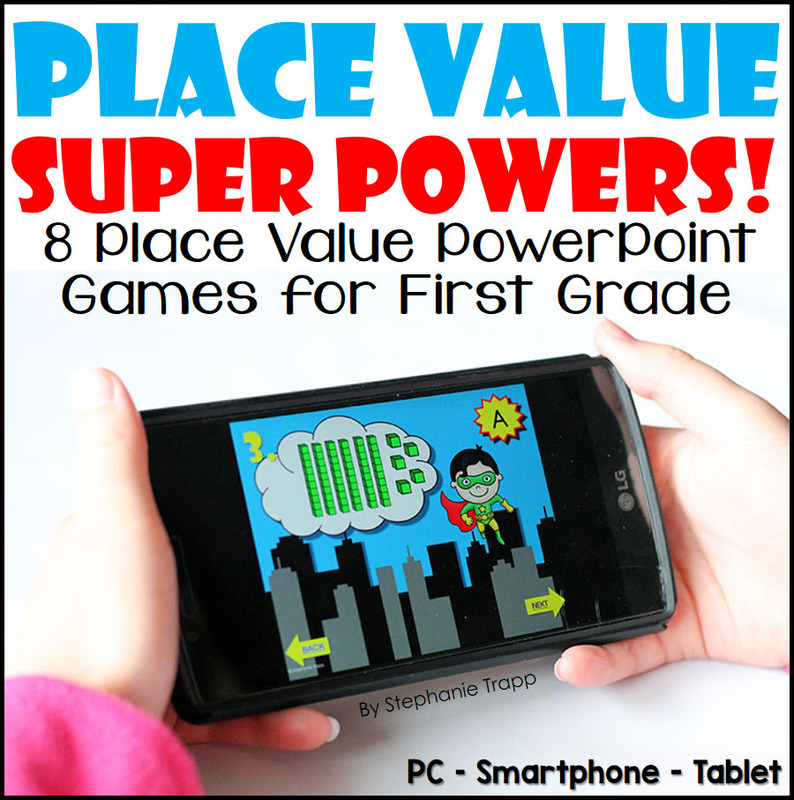 The file of all 8 PowerPoint games is in my TPT store, but the freebie is just here. 🙂 Thank you for your kind words and I hope your students really enjoy it! These are awesome ideas. I can see how much work you have put into those games. Thank you for all your effort that makes my job just a little bit easier! Thanks so much for your freebie. 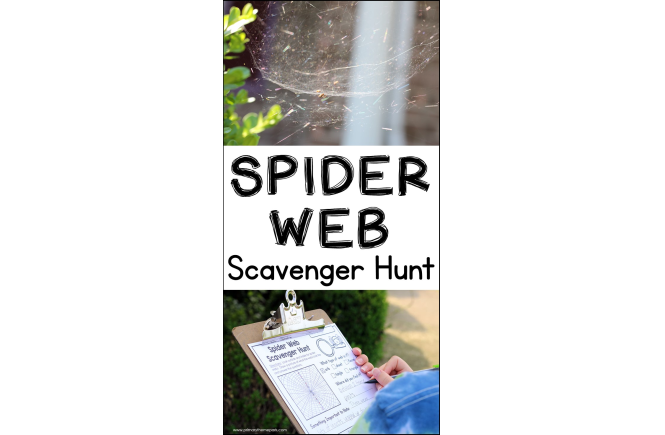 I plan to use it as a resource for casual teaching as the younger classes always need practise with this concept – and who doesn’t love a scavenger hunt? 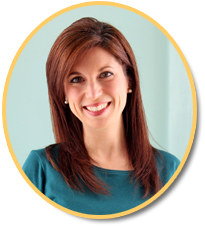 Hi, Stephanie, I think the ‘Last Number Standing’ game is brilliant. I would love to share it with visitors to my website (with full credit and return links to your site). Hi, John! I’m glad you like the game! You’re welcome to share a link to this blog post on your website. I just ask that you don’t tell how to play the game, but rather direct your readers here to learn how to play it. Thanks for reaching out to me! I Played Last Number Standing with 4th graders. I added more place values and they loved it! Thanks for sharing. Hello! I'm Stephanie. Welcome to Primary Theme Park, a source for engaging ideas, activities, and resources for the elementary classroom. I hope you find something here for you!